I know, I know, we’re still enjoying the last of the summer, but right now is the time to start thinking about spring ... well, spring flowers at least, and if you've got a small back garden then bulbs can add an additional, much needed layer to your planting scheme. So which spring bulbs for small gardens? Who loves bulbs more than we do? The squirrels! Although they dig up daffodils I don't think they actually eat them. 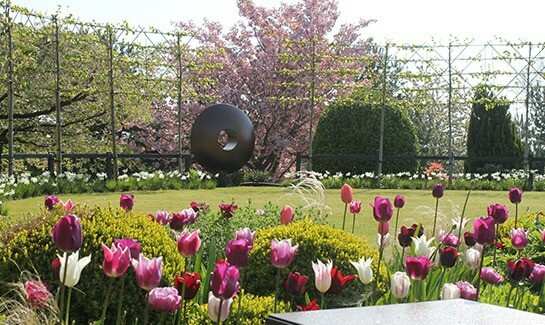 But they have a serious appetite for crocus and tulips. Bulbs are most vulnerable immediately after planting, when the soil is newly dug, fluffy and easy for to dig. Chicken-wire placed over the pot, or the freshly dug soil, will deter them, and I’ve found setting this under-ground to be an even better solution. 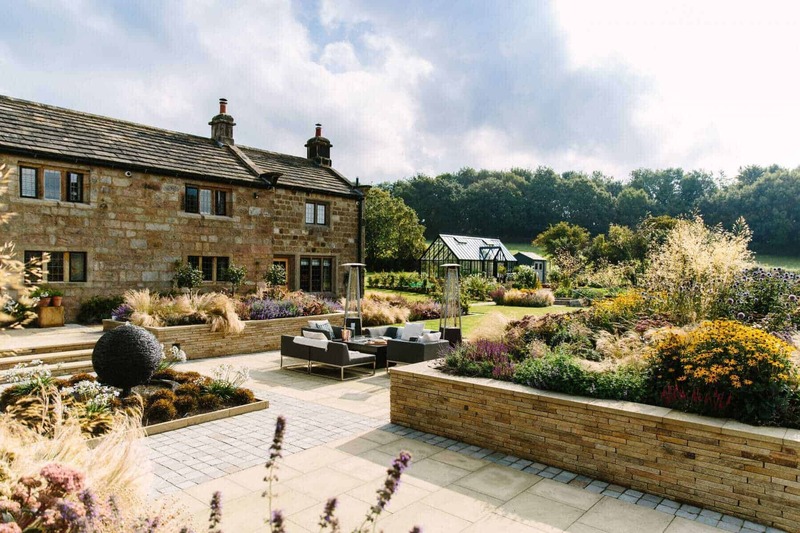 As the light levels dip on British summertime, Garden Designer Lee Bestall looks back at a dramatic year. The summer of 2017 has been part of a very exciting year for us. 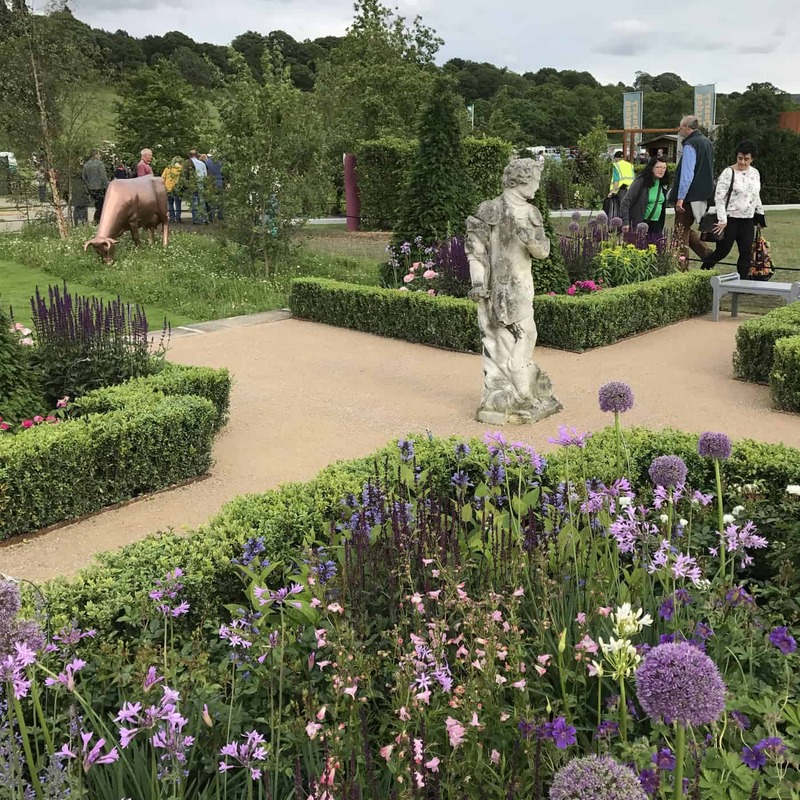 Not only are we busier than ever, we took on the huge challenge of creating two gardens for prestigious RHS shows. Back in May we displayed ‘500 years of Covent Garden’ on main avenue at the worlds’ most prestigious Flower Show. 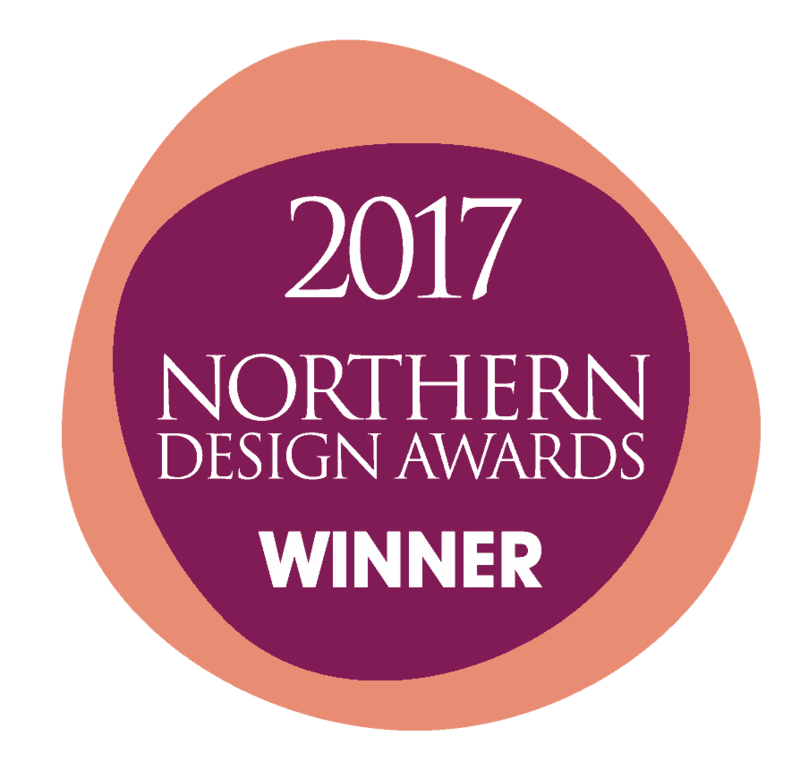 Sited amongst famous designers such as our neighbour Chris Beardshaw. 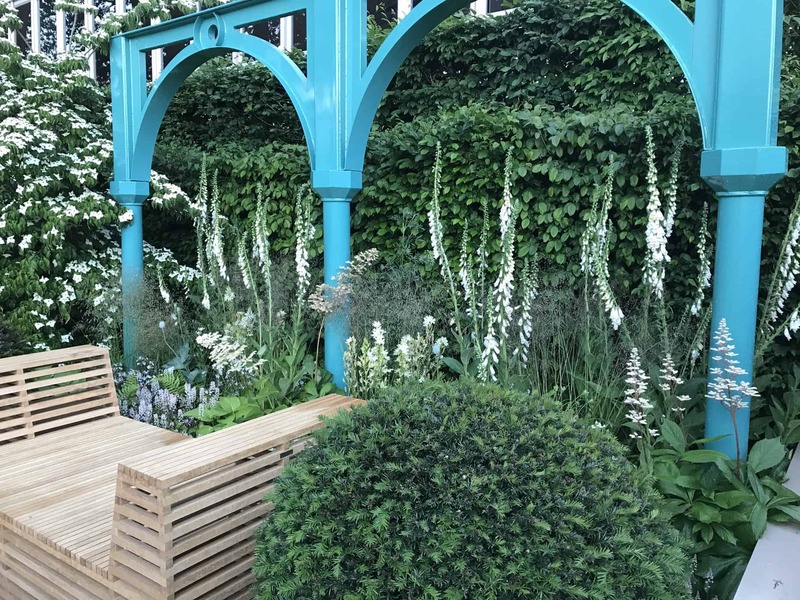 Our 11M x 11M garden took inspiration from Covent Garden’s rich floral heritage, and featured as of one of Chelsea’s main show gardens. 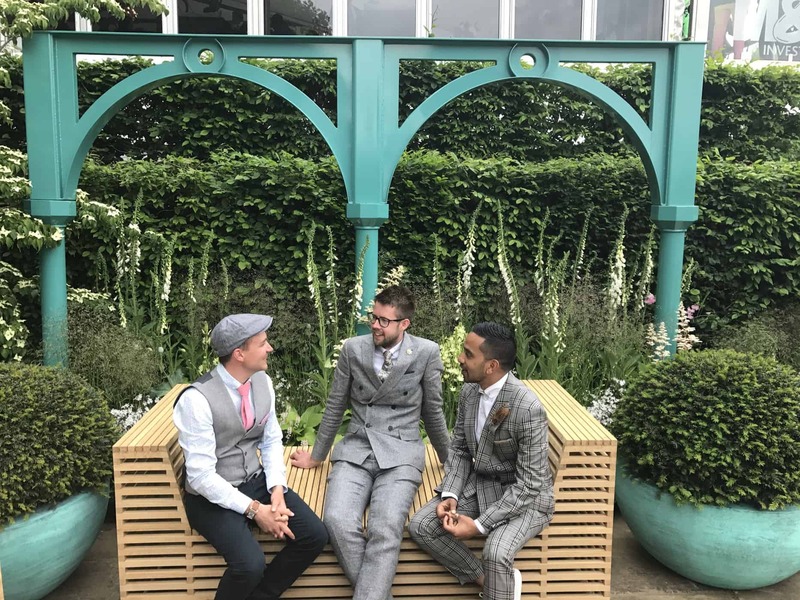 The build-up to Chelsea began in June 2016, just four weeks after the team finished last years’ show, so for Bestall & Co life has been a cycle of Chelsea, Christmas, Chelsea, Christmas, Chelsea Lee Laughed. A trip to Belgium in October last year was very fruitful (pun intended)! When he managed to source three, fourty year old Apple trees. 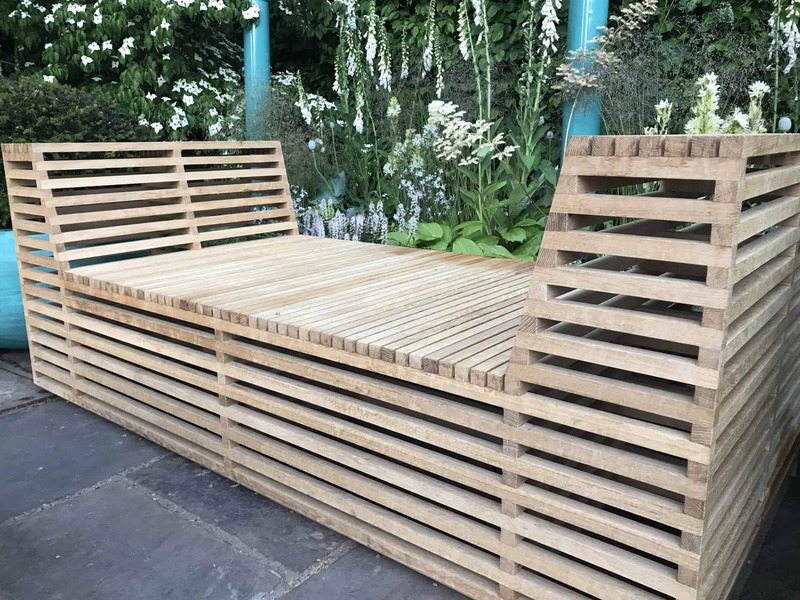 Once displayed at Chelsea, became the centre piece to the Nyetimber pop-up bar the team installed back in Covent Garden for the summer. 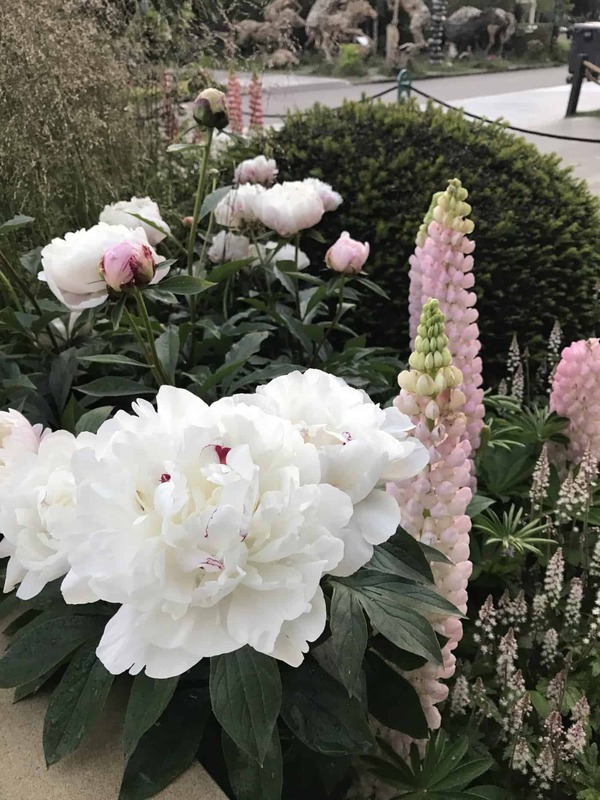 Traditional English flowers such as Roses, Lupins and Peonies bloomed alongside more naturalistic plantings of native ferns and softer wild flowers. The Apple trees were under planted with shade loving plants. The iconic cobbles found in the streets of Covent Garden, laid beside reclaimed York Stone we found in a reclamation yard back here in Yorkshire. Press day on Main Avenue at Chelsea was great fun. Meeting Her Majesty the Queen was an honour (even though I was so nervous I forgot to remove my flat cap! – public apology). As too was having celebrities visit the garden. The thing which overwhelmed me the most was the emotional public reaction. 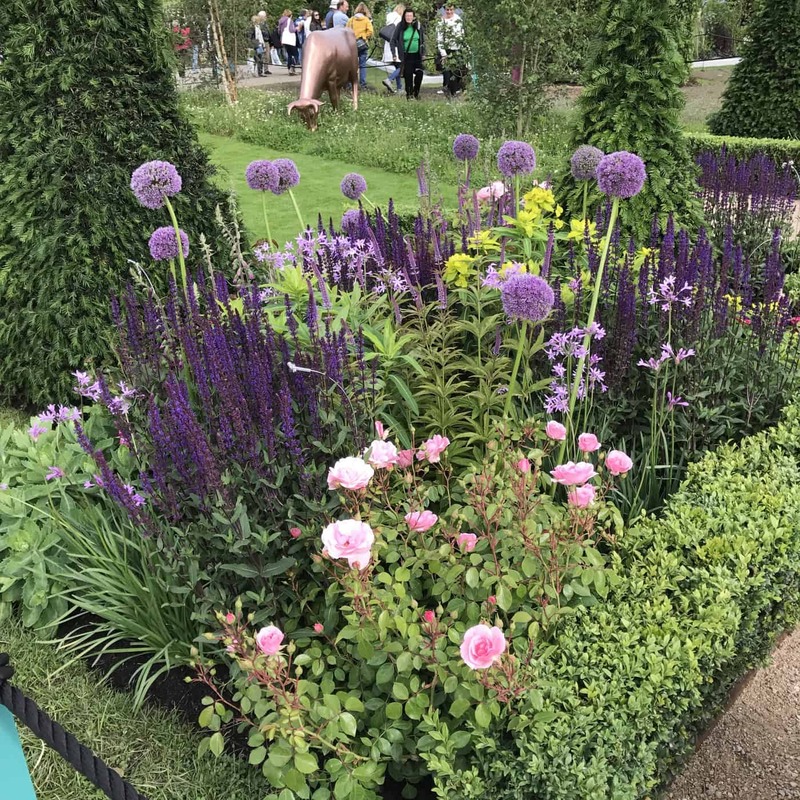 We had some heartfelt comments about the beautiful planting (it seems people had missed ‘real flowers’ at Chelsea). The garden even moved some visitors to tears! For those who don’t know about the flower show, it’s the gardening equivalent to playing at Wembley. So you could say Lee was rather pleased with his Silver award. 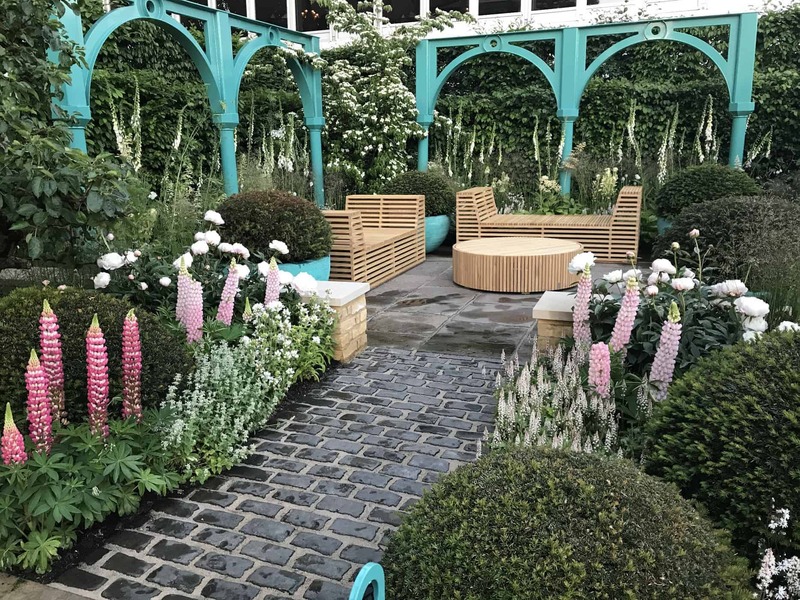 For those unable to see it in reality, or on the many hours of TV, the garden has now been reconfigured and is enjoyed by the general public on a daily basis in the heart of London’s Covent Garden. At the same time I was entertaining the horticultural elite, there was a contractor busily working back in Derbyshire. Creating our exhibit for the inaugural Chatsworth Flower Show. The weather was hot, the ground was dry and the work was tough. Dry stone walling, ground contouring and turfing were all carried out in a very open and sunny site. Plants required gallons of water as too did the 4 year old wild flower matting we imported from York. Thanks to technology and via the magic of Facetime, I managed to instruct the implementation team on a daily basis. 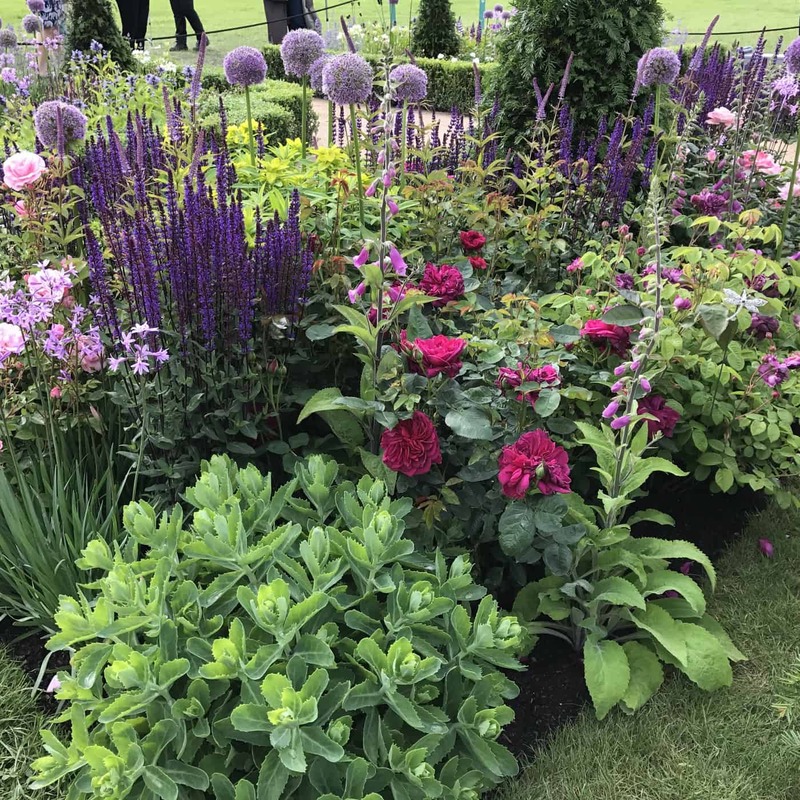 When I finally made it back home, planting time at Chatsworth had arrived … along with the coldest, wettest and windiest weather we’d had for months. Planting in cold, muddy soil was bad, but the wind was the hardest element to battle against. It whipped down the valley and battered the trees and flowers. Most of whom had been happily been growing in full sun just a few days ago. But as gardeners do, we battled on through and planted up the garden just in time for judging day. Press day at Chatsworth was a less glamorous event that at Chelsea, mainly due to the weather. But it didn’t stop the Duke and his wife joining us for a picnic on the garden which was sponsored by Visit Peak District and Derbyshire. The show opened to the visitors as planned, and although muddy was a great success. Twenty thousand people attended the show each day, the local roads heaved but the show was definitely worth the wait. After clearing the show site and rebuilding the garden back here at Renishaw Hall in Derbyshire (home of the Sitwell family and our design studio) My happy life has returned to normal. I’d forgotten what life without Chelsea was like, and although we’re working on a concept for 2019. It looks like next year may be the year I actually get to see my Wisteria in flower! 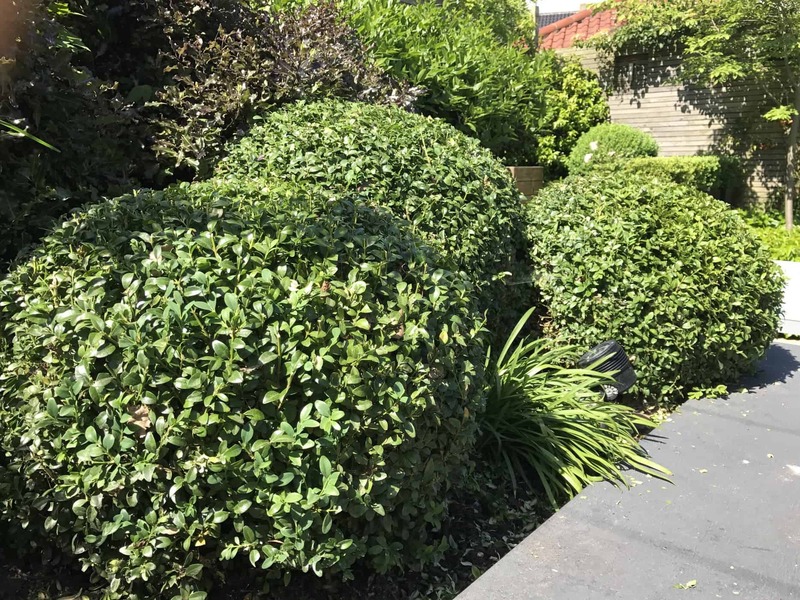 Topiary is the name given to formally clipped plants, normally evergreens, which are added to gardens to proved shape, structure, balance and symmetry as well as winter interest. Photinia 'Red Robin'. Well known as a garden shrub, but less well know for topiary. It's fast growing as it has relatively large leaves but the flowers can detract from the topiary shape and if you're a control freak (like me) it's probably not the topiary choice for you. 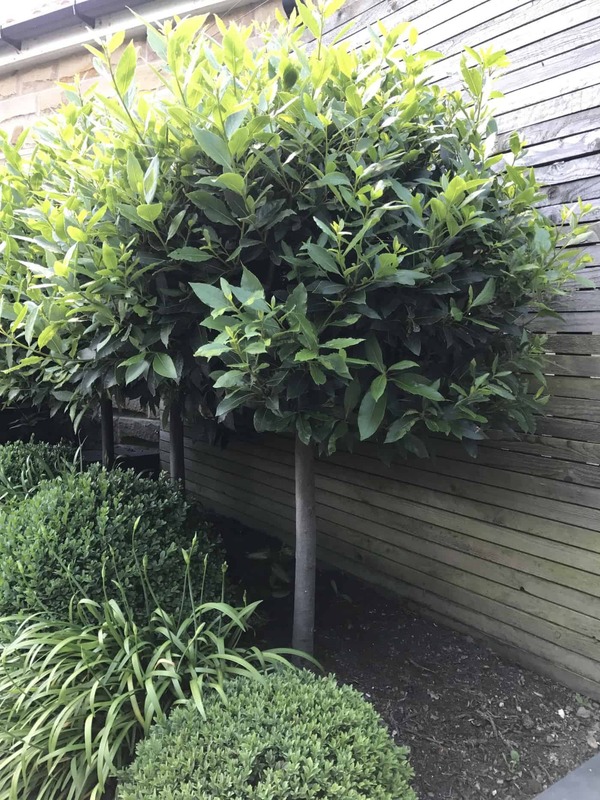 However if you prefer your formal garden to be a little more relaxed, Photinia is probably a good choice for you, as too may be Eleagnus. Prunus lusitanica. Portuguese laural has wonderful glossy dark green leaves and is probably the fastest growing shrub for training. Ideal if you want to train your own topiary or are working to a budget. 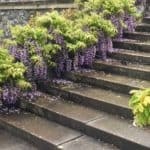 The down side is that it does require pruning twice per year, whereas most other topiary only requires annual attention. Feed in spring and water well for maximum growth. Lauralis noblis. 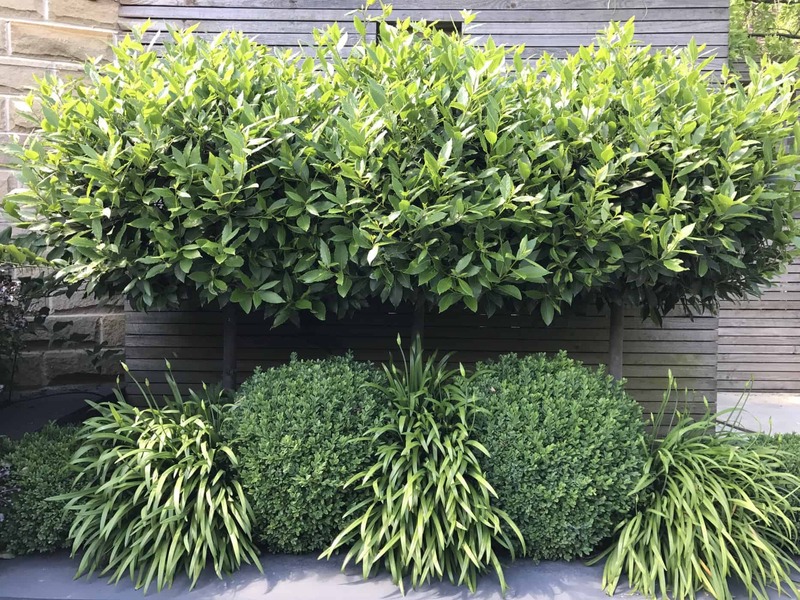 Commonly known as Bay, this wonderfully scented and culinary useful evergreen responds extremely well to regular pruning and shaping and makes a great cone, pyramid, sphere or lollipop. (Not suitable for very cold and exposed locations). Buxus. Relegated to my number two given its susceptibility to box blight, but still in my top five favourites. I love cutting box, I love the smell of box and I love the tight pleasing shapes that can be created when neatly cut. For me it's still a premium plant with nothing else really topping it for dwarf hedging providing a formal structure. To help fight against box blight always trim on a dry day, ensure plenty of air flow around the plants and spray with Top Box to encourage healthy plants. Taxus baccata. If left untrimmed, Yew trees grow to huge proportions, but are excellent for larger hedging and topiary. Slow growing and therefore expensive, this British native plant is hardy and evergreen. It will not however tolerate waterlogged soils and will quickly brown and die. Ideal for larger topiary shapes and for realising quirky topiary dreams. So what is responsible for Britain's rising demand for 'granny plants'? Could it be memories of days spent in the garden as children, or our love of old English romantic gardens? Whatever it is, along with knitting and Victoria sponge, granny plants are back! Once referred to by the majority of our clients as granny plants. We are seeing a comeback for some of the old fashioned varieties. During the initial design consultation, and when asked to populate the list of 'plants we do not like' I could have predicted the results. "Anything yellow, Roses, Dahlias and Hydrangeas". It seems there has been a swing in opinion and thanks to companies such as www.neptune.com. (Who produce some of the most beautiful faux white hydrangeas for the home) the popularity of these plants have once again captured our hearts. 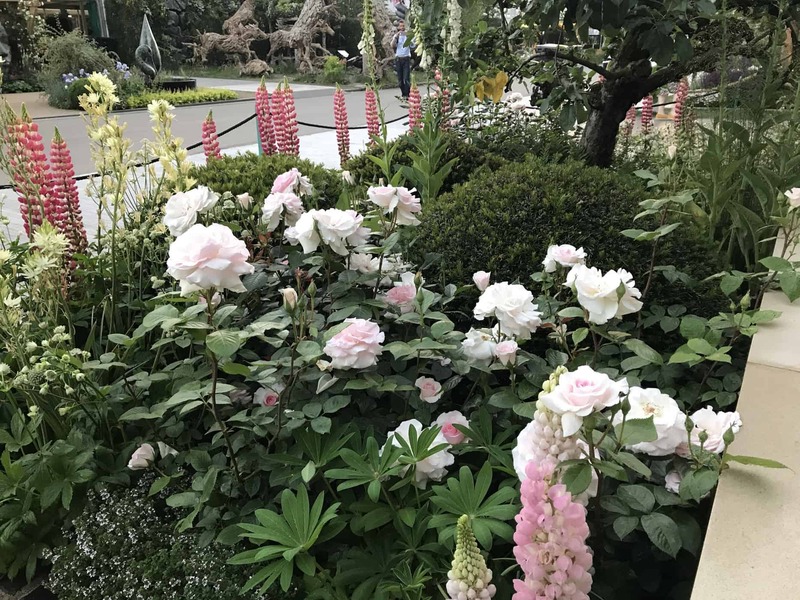 Our recent Chelsea show garden celebrating 500 years of Covent Garden was filled with romantic pink and white Roses, Peonies and Lupins. Our garden at Chatsworth for the Experience Peak District and Derbyshire garden was filled with Roses such as the soft pink of 'English Miss', the fresh white of 'Little Pet' and the deep sophisticated 'Darcy Bustle' as well as the very popular 'Burgundy Ice'. Over the past couple of years, we've also been asked to plant a lot of Hydrangea. Although we're not quite ready to embrace the pink and blue mop head types, favouring the white 'Annabelle' and 'Limelight'. Both of these varieties are not really suitable for the smaller garden. However we've recently fallen in love ourselves! With a beautiful white Hydrangea that only grows 50cm high, but we reserve those for only our very favourite gardens. 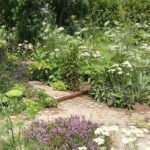 Employing a garden or landscape designer to help out with a project is an expensive luxury, but is the cost worth the designer difference? The difference between garden spaces that have been intentionally designed and those spaces that just 'happen' can be seen in everything from the hard landscaping, special arrangement of furniture, balance of the trees, the proportions used and most obviously the planting. 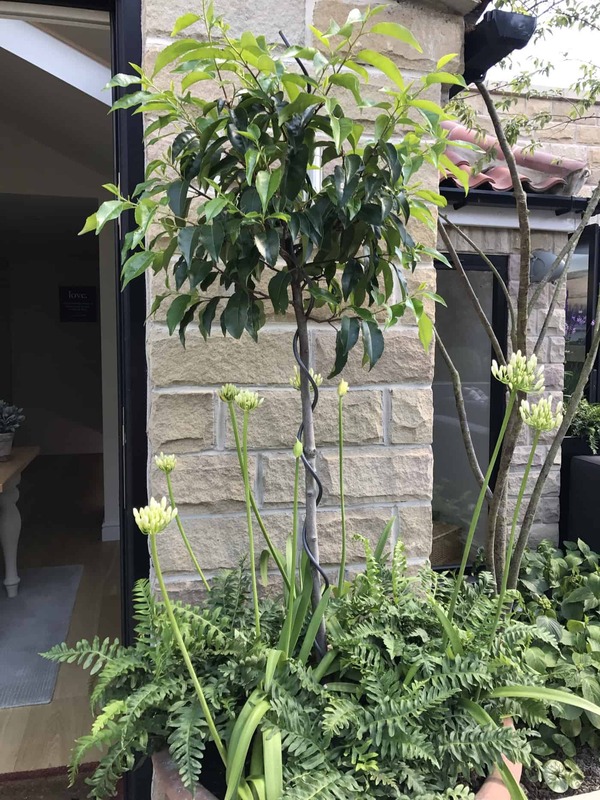 Investing in design services mean you don't waste money, time and energy on sourcing products and plants which simply are not suitable for the location or purpose. "If I had £100 for every 'plastic wicker effect' sofa set we've recycled I wouldn't need to work!" Dead or sick plants just don't look great! 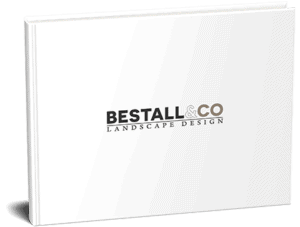 So an experienced designer can select the ones most appropriate to your site and soil. (We always do a soil test at the initial design consultation). You will of course still need to water in the first year. After that the plants will be able to look after themselves. (With the exception of trees and potted plants of course). Expect to allocate around 10% of your build budget to design fees, slightly more if you want project implementation services. It's definitely money well spent and we've often saved clients a lot of money. We have providing better solutions which are either more economical or have an extended life expectancy. We can also advise on other elements of the home and garden too. 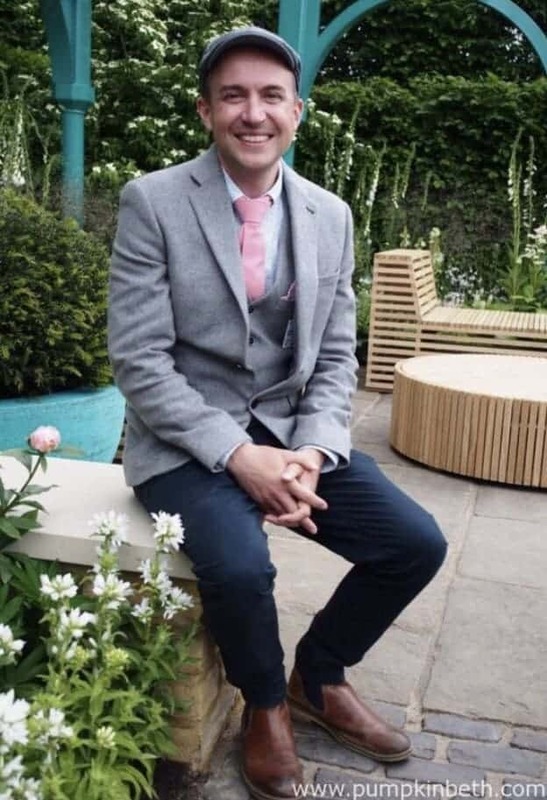 For example we recently saved a client thousands by selecting a different manufacturer for their greenhouse and even more when we suggested one client change their proposed stone barn for an oak framed building. These were suggestions that were made in the initial design consultation. 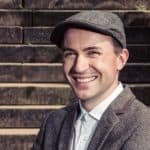 Lee Bestall is an experienced designer with a fabulously honest personality. His reassurance throughout the implementation of the project helped us through the transformation. Everything he suggests he does with genuine enthusiasm and integrity. 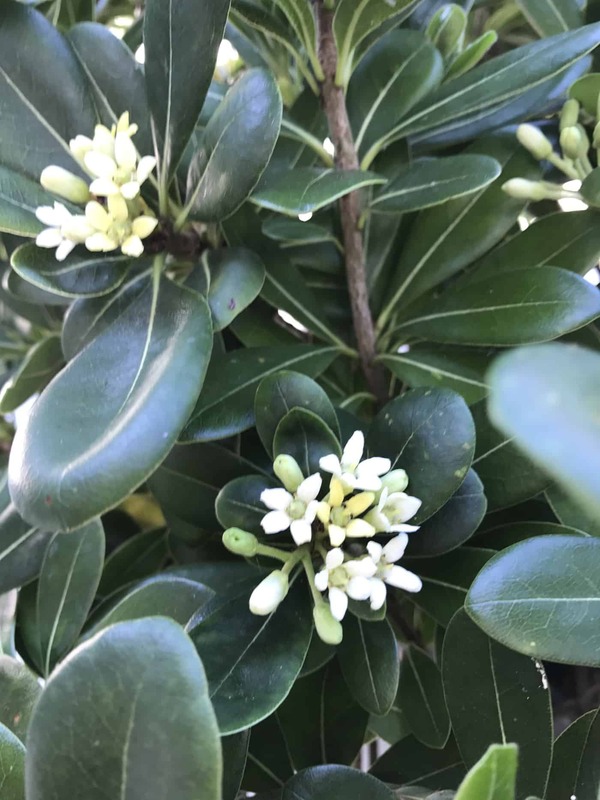 When I was travelling in America we stayed in a great hotel in Las Vegas and to either side of the (outdoor) reception were two huge 'clouds' of Pittosporum tobaria. They were perfectly formed and clearly loving the intense heat the desert environment provides. Plus of course a good dose of artificial irrigation. When we returned to Europe, one of the first things I did was bought one from a Dutch nursery on a plant trip around the continent and it's thrived in my sheltered courtyard garden near Sheffield for over 2 years now. I'm aware Pittosporum tobaria don't like very low temperatures (as don't the other Pittosporums). I could lose it if we had a harsh winter, but for some reason that makes it more desirable and makes me appreciate it even more. It's currently in full flower (end of June) and although that's not really the reason for owning one. The creamy white waxy flowers do make it even more beautiful. 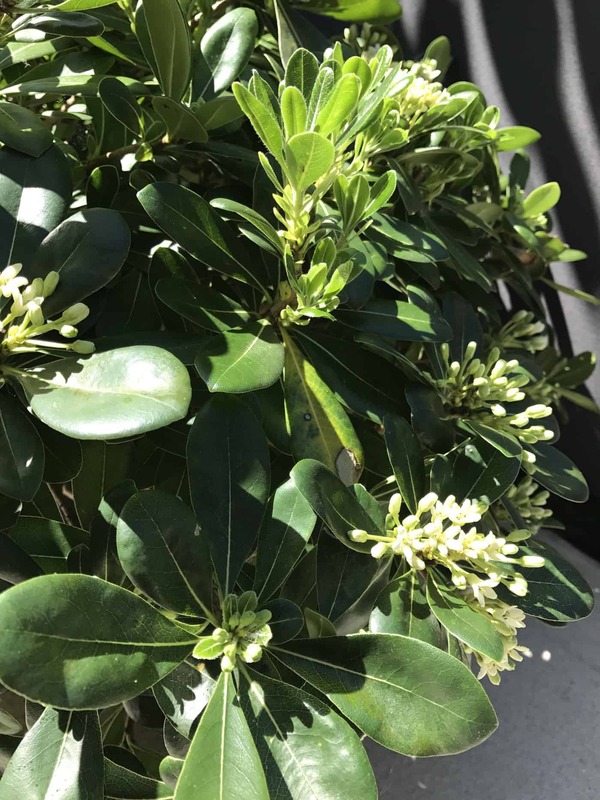 The flowers are highly scented and smell delicious, like a peppery sort of Jasmine. The plant has a natural domed shape when young, if left to grow, it will produce quite a large shrub. I saw one growing in the deep shade of the Artisan garden area at Chelsea this year. Presumably it had been part of a show garden many years ago and has now become part of the backdrop to the late spring flower show. 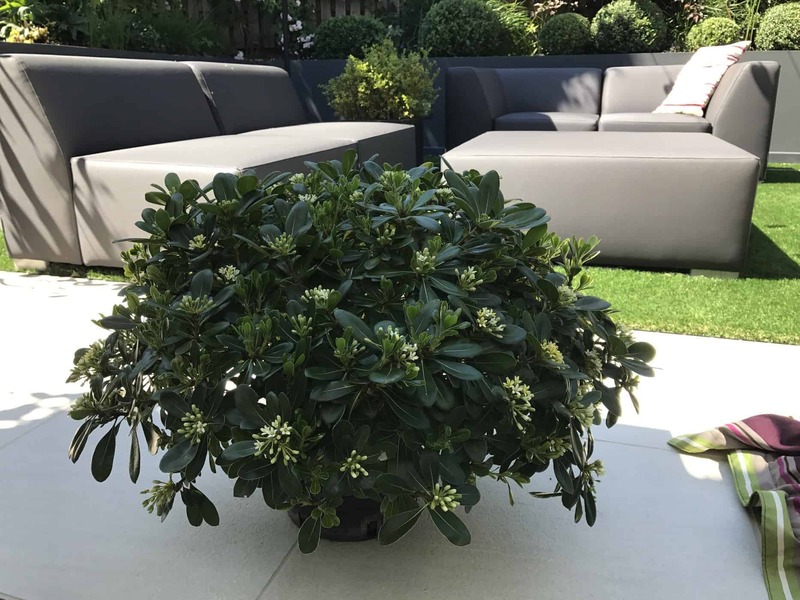 The glossy dark green leaves of Pittosporum tobaria are quite thick and a beautiful shape. Growing a little each year but still maintaining a natural looking dome shape (with gentle pruning in mid summer). All in all, Pittosporum tobaria is worth a shot I'd say. It looks great in a pot and has the added advantage of moving it somewhere sheltered in the winter. And if we have a harsh one next year, then I'll buy another! After all, it probably only costs the same as a decent bunch of cut flowers. This Westcountry Lupin was planted in our garden at the Chelsea Flower Show 2017 to represent the early phase of colour change that the apple blossom buds undergo as they open. The planting on the perimeter of the garden began with the striking pink Lupins. 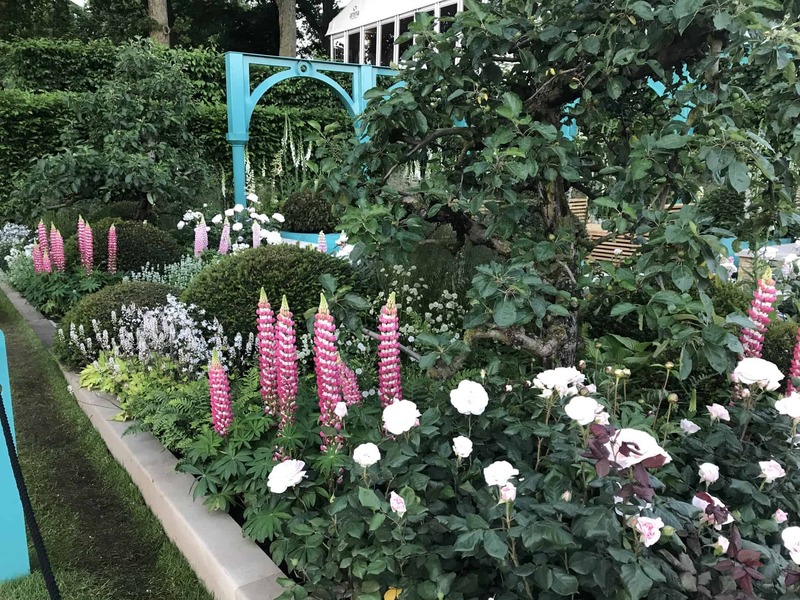 It then faded through the soft candy pink of Rosa 'Whiter Shade of Pale' and finally to the white foxgloves Digitalis purpurea alba. Lupins are tolerant of poor soil as they actually have the ability to add nutrients back in as they grow. The plant grows to around 70-90cm in height and each of the flower spikes is jammed with bicolour flowers. The heads are monsters and can grow up to 15cm wide! Flower spikes will be produced in the first year alone and the plant boasts plenty of lush green foliage. Watch out for slugs, but seems to be deer and rabbit resistant. A perennial which attracts plenty of bees and excellent for cutting. In association with property investment company CAPCO, Lee Bestall celebrates over 500 years of history from the much loved Covent Garden, London. 2017 was a special year for Covent Garden. 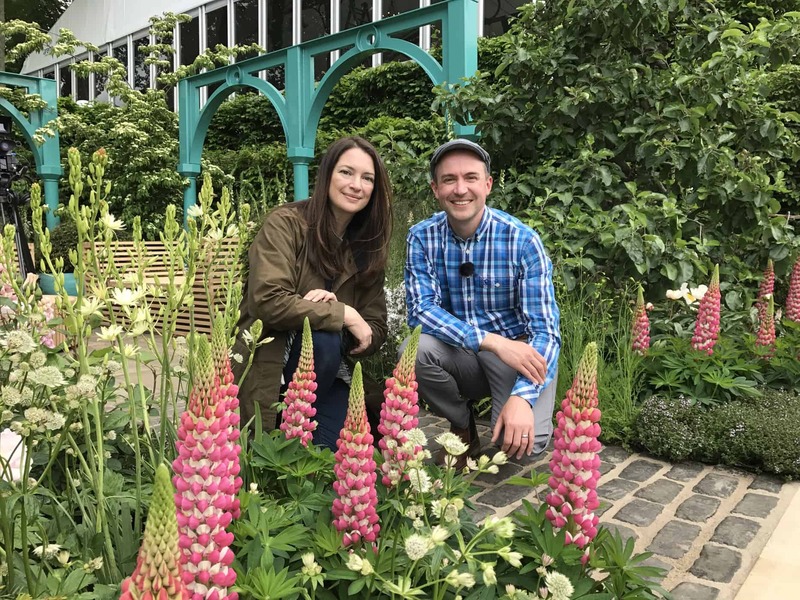 It was the first year that it presented a display at the world class flower show known by so many garden enthusiasts simply as Chelsea. 500 years of Covent Garden is my creation for this years Chelsea Flower Show, but the story starts much earlier in history when back in the 13th century the area was an orchard producing fruit and vegetables for the monks table at Westminster Abbey. Know then as Convent Garden, the area grew apples amongst other fruits, and it's the apple tree I chose to celebrate at this years show. 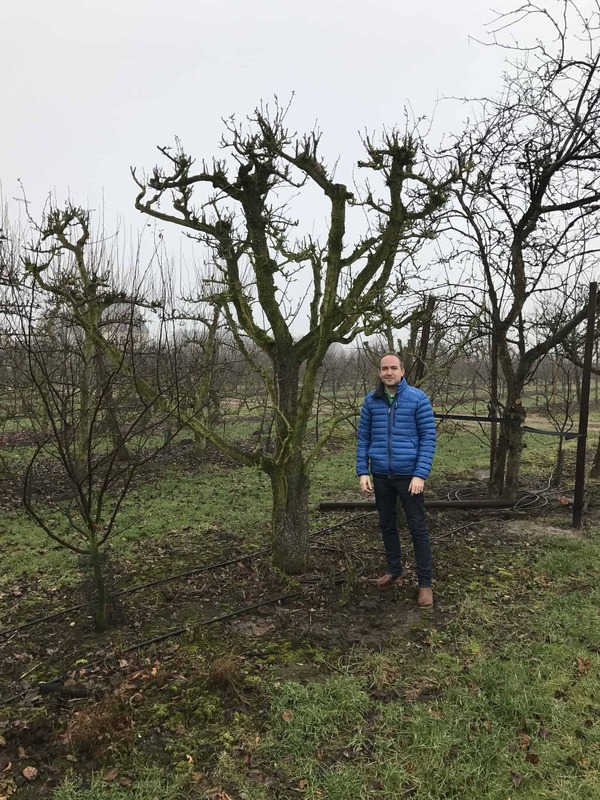 I sourced three 35 year old apple trees from a plant hunting trip in Belgium, where they had been rescued from the bonfire when an old orchard was demolished. 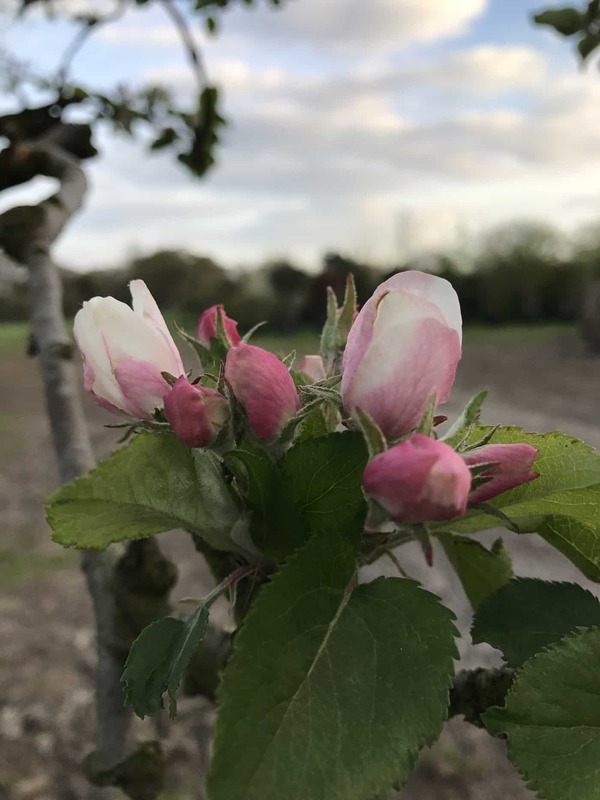 At the end of their fruiting life, these apple trees were no longer commercially viable, but their shape and form was so beautiful I knew I had to include them in my garden at Chelsea. The wilder planting to the rear of the space is how I imagine the wild flower meadows would have once looked, and the brightly painted arches were inspired by the metal archways in the 19th century Covent Garden market. The modern furniture by Jonathan Stockton was inspired by apple crates and used over half a kilometre of European Oak.